Chelsea District Library provides free wireless internet access, should you wish to connect to the internet using your personal device. You can also connect your device to the library’s network using the Ethernet (RJ-45) cables that are located at the tables on the second floor. To connect your device to the library’s network, you will need to connect to the Public wifi network. Next open any browser and you’ll be directed to our internet use policy. Just click or tap on I accept to get access to the internet. Please click here to find out more information on how to print from your device. Please review our Computer Use Policy by clicking here to download the PDF. Chelsea District Library patrons can now print to the library printer from their mobile device or their internet-enabled computer.Print jobs can be emailed, sent through a mobile app or as a web upload. Documents are not printed until the patron comes to the library and releases their print job. Printing costs are the same from either your mobile device or on a library computer. For detailed instructions, select one of the options above. An email with an attachment, will send two print jobs: One for the email and one for the attachment. You are able to delete the email message if you do not wish for it to be printed. Once your job has been sent, you will receive an email from PrinterOn PrintSpots giving you instructions for obtaining your print job. To retrieve your print job, go to the library (the same day) and log into the Print Release Computer on the 2nd floor using your email address. Select your job, pay and print. Find the app in your device’s app store (search for PrinterOn) or from the PrinterOn web site: http://www.printeron.com/apps.html. 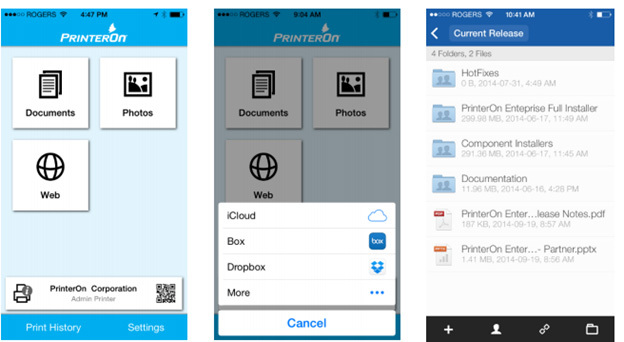 Once you have downloaded the PrinterOn app to your device you will need to find our printer. After locating a printer, tap “Save” to save the printer information. The printer can be used later under the Saved Printers tab. Select your printer by scanning a QR code, selecting a saved printer or searching for a new printer. Confirm the printer you wish to submit to is shown in the Printer box on the app’s Home page. Select your Storage provider, or tap “More” to Manage Storage Provider. Locate and tap on the desired document. You will now see a preview of the job when available. To select copies and page range where applicable, tap the option icon in the top right corner. Tap Print to submit your job. To retrieve your print job submitted to the library , go to the library (the same day) and log into the Print Release Computer using your email address. Select your job, pay and print. Computers are available for public use at Chelsea District Library with Internet access. Computer users are required to login with their library card and pin number for the wired workstations. Computer use is limited to 60 minutes if others are waiting. If no one is waiting at the end of your 60-minute session, you may have an extended session. If all computers are full, you may reserve a computer at the reservation station. When you are assigned a computer, you have ten minutes to log on before you forfeit your reservation. Chelsea District Library provides printing services for patrons. Both color and black-and-white printing options are available on the second floor. Users will need to pay and release their print jobs at the print release station located near the printer on the second floor. Internet access on library computers is filtered for those under 18 years old in compliance with Michigan Public Act 212. Wireless Internet access on a patron’s personal laptop is unfiltered. Librarians are available to provide help with access to and use of computers. Chelsea District Library uses an advanced filtering system called OpenDns. By employing this technology, the library is able to comply fully with Michigan Public Act 212 of 2000. Find out more about the categories that are filtered. The McKune Room, Katie’s Korner (formerly the amphitheater), and outdoor Reading Garden are available for use by outside groups that meet the criteria set forth in library policy #421 – Use of Venues and Meeting Spaces. 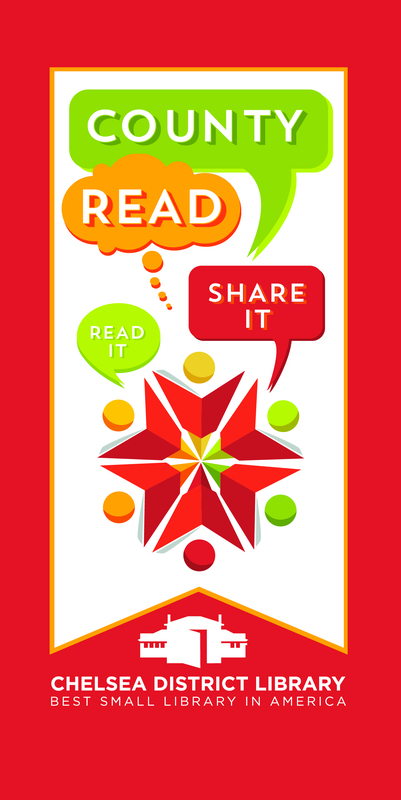 We also ask that you read over the library’s policy #422 – Display and Solicitation in the Library in relation to using any of the program areas. If your group is interested in reserving meeting space, you simply need to fill out the Meeting Room Rental Agreement, and return it to the library with your $100 deposit. You can return the form and the deposit either in person or by mail. If you would like the use of any equipment, such as chairs, tables, A/V equipment, a coffee pot, etc, you will need to fill out the third and fourth pages of the Meeting Room Rental Agreement. We have two rooms available for advanced registration. Reservations may be made up to 7 days in advance and are not allowed on the day of use. The other rooms are available on a first-come, first serve basis. Patrons are required to sign in at the reference desk on the second floor. Please read our guidelines for study room use. We are able to offer limited supervision for proctoring – a proctor will not be in the room with the student when they are taking their exam. Click here to fill out the Proctoring & Test Accommodations form. We require a weeks notice. Email Ron Andrews at randrews@chelseadistrictlibrary.org for questions. Tech By Request (TBR) has replaced our long-running Computer Training 1:1 and Ancestry Aficionados programs effective on March 1, 2019. The new TBR is designed for convenience and flexibility. It allows our users to request a training session with one of our tech-savvy computer volunteers at a mutually agreed upon date and time. In addition to software training on PC, Mac, Android and iOS devices, TBR will offer one-on-one training for our in-house tech equipment which includes 3D printers and coming soon our VR devices! We will continue to offer training based on the number of computer volunteers we have and their skill sets. Some of the covered topics: Microsoft Office Suite, Social Media (Facebook, Twitter) Tablets and Smartphones using (iOS and Android), Windows, MacOS, CDL downloadables (OverDrive, Hoopla, RBDigital), Computer Security and health (McAfee, Norton, AVG), email assistance (Gmail, Outlook, Yahoo), Internet browsing (Chrome, Firefox, Edge). Along these lines we hope to recruit more computer volunteers and expand training based on skill sets of the volunteers. CDL is happy to assist with local history research. Please visit storiesofchelsea.org to view our online local history resources. To obtain copies of historical photos or for further assistance with your research, follow the steps below. 1. Complete CDL’s local history request form. Be sure to include detailed information on the topic, person, or desired local history photo. 2. Please allow at least 48 hours (excluding Saturday and Sunday) for a librarian to respond to your request. 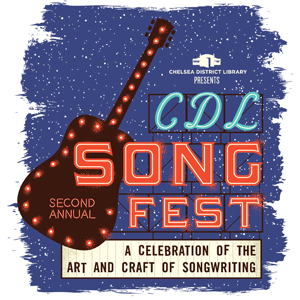 The Chelsea District Library receives a wide variety of requests from groups and individuals to present programs sponsored by the Library. In an effort to better manage these requests the Library requires that all presenters seeking to present a program fill out our Program Presenter Application. Submitting this application is not a guarantee that your proposal will be accepted. A library representative will be in touch to discuss your program in detail should it be selected.